Environmental Microbiology and Microbial Ecology presents a broad overview of microbial activity and microbes' interactions with their environments and communities. Adopting an integrative approach, this text covers both conventional ecological issues as well as cross-disciplinary investigations that combine facets of microbiology, ecology, environmental science and engineering, molecular biology, and biochemistry. Focusing primarily on single-cell forms of prokaryotes — and cellular forms of algae, fungi, and protozoans — this book enables readers to gain insight into the fundamental methodologies for the characterization of microorganisms in the biosphere. The authors draw from decades of experience to examine the environmental processes mediated by microorganisms and explore the interactions between microorganisms and higher life forms. 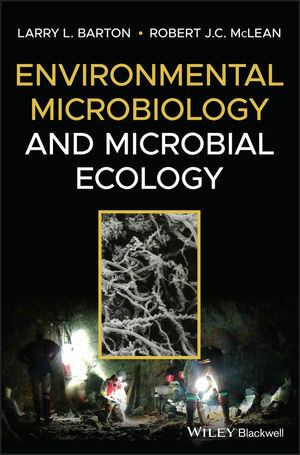 Highly relevant to modern readers, this book examines topics including the ecology of microorganisms in engineered environments, microbial phylogeny and interactions, microbial processes in relation to environmental pollution, and many more. Now in its second edition, this book features updated references and major revisions to chapters on assessing microbial communities, community relationships, and their global impact. New content such as effective public communication of research findings and advice on scientific article review equips readers with practical real-world skills. Environmental Microbiology and Microbial Ecology is an ideal textbook for graduate and advanced undergraduate courses in biology, microbiology, ecology, and environmental science, while also serving as a current and informative reference for microbiologists, cell and molecular biologists, ecologists, and environmental professionals. Larry L. Barton is Professor Emeritus, Department of Biology, University of New Mexico. He is author or co-editor of eight books on microbiology and is founding editor of the journal Anaerobe. Dr. Barton studies the physiological activities of microorganisms, focusing on energetics of anaerobic bacteria and bacterial inorganic metabolism. R.J.C. McLean is Regents’ Professor, Department of Biology, Texas State University. His research include biofilm growth and development as well as microbial mineral formation and nanobacteria.